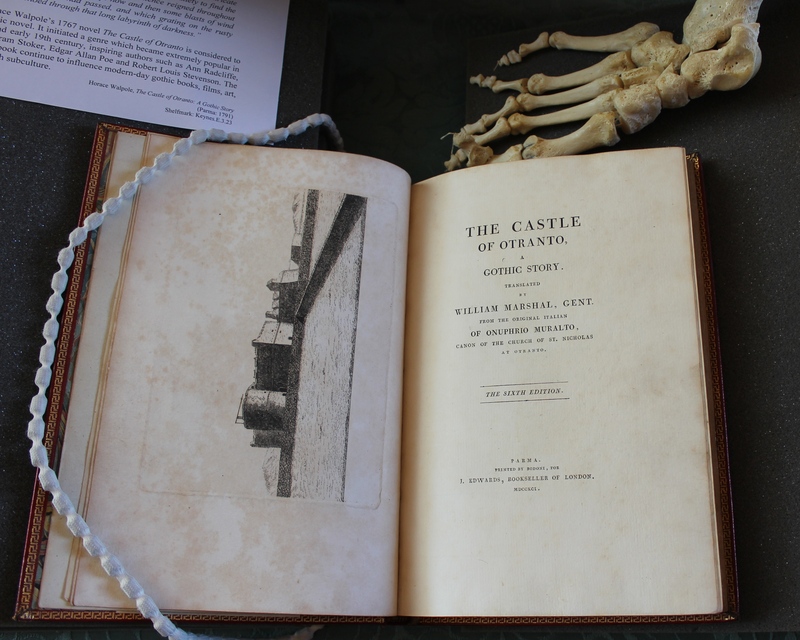 Interest in tales of outlaws, brigands and pirates is perennial, and recent cataloguing work has uncovered several volumes in the Thackeray bequest which provide early accounts of some of these fascinating and colourful characters, both real and fictional, including such luminaries as Blackbeard, Captain Avery and Robin Hood. 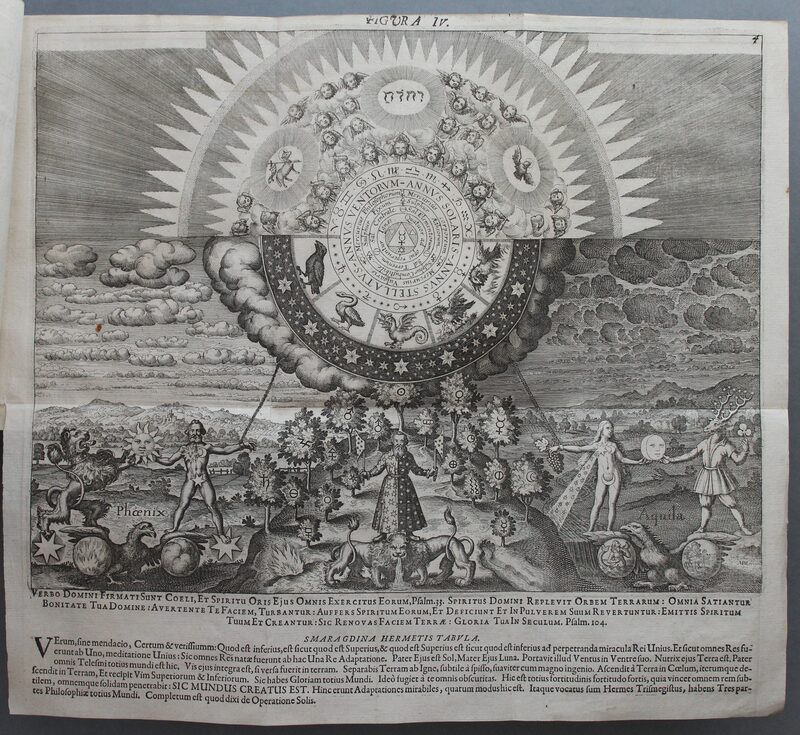 Perhaps most significant amongst these works is a large tome published in 1734, the title-page of which is pictured below. 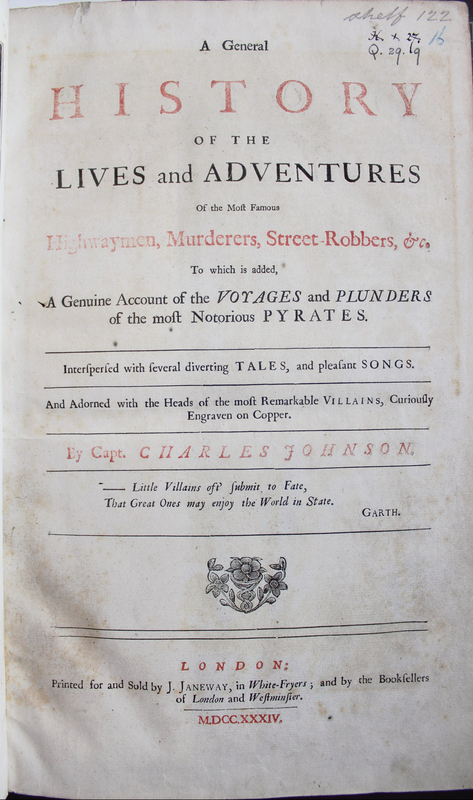 This book contains selections from one of the most famous early works about pirates: Captain Charles Johnson’s 1724 work: A general history of the robberies and murders of the most notorious pyrates. Interspersed with these piratical histories are selections from Captain Alexander Smith’s The history of the lives of the most noted highwaymen, which was originally published in 1714. The book, which delights in embroidering and exaggerating its accounts of criminality, is also full of wonderfully evocative engravings depicting pirates, highwaymen and other assorted villains going about their dastardly business. 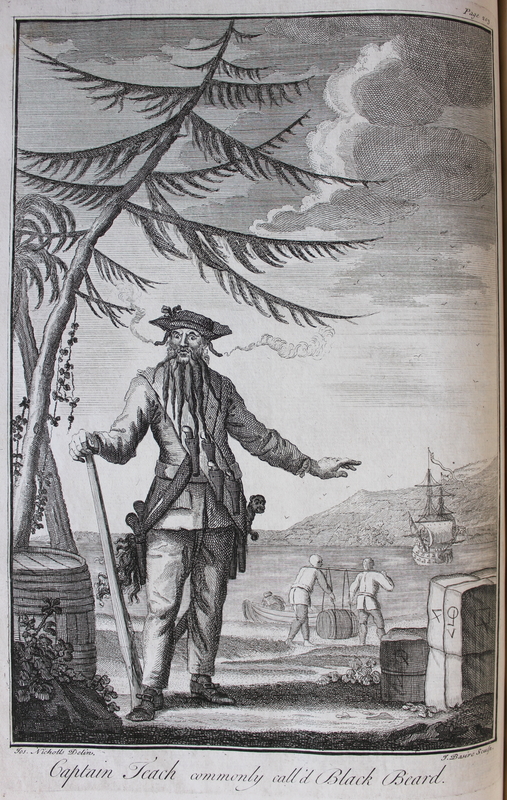 Possibly the most striking illustration is this image of the notorious pirate Blackbeard. 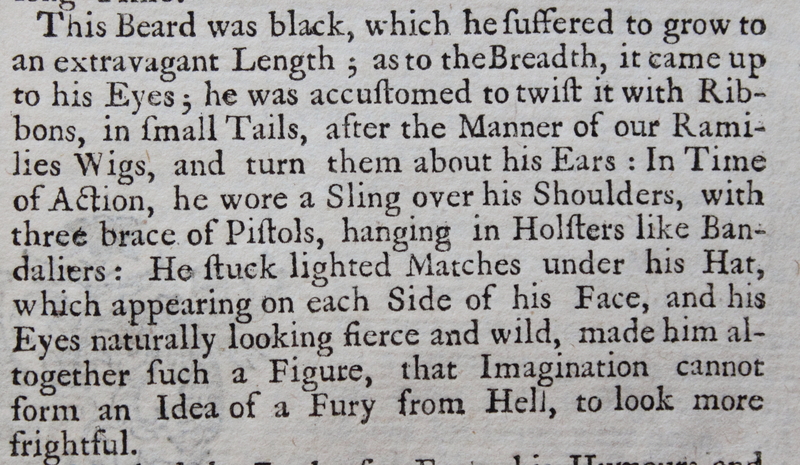 An accompanying description in the text elaborates upon his fearsome appearance. 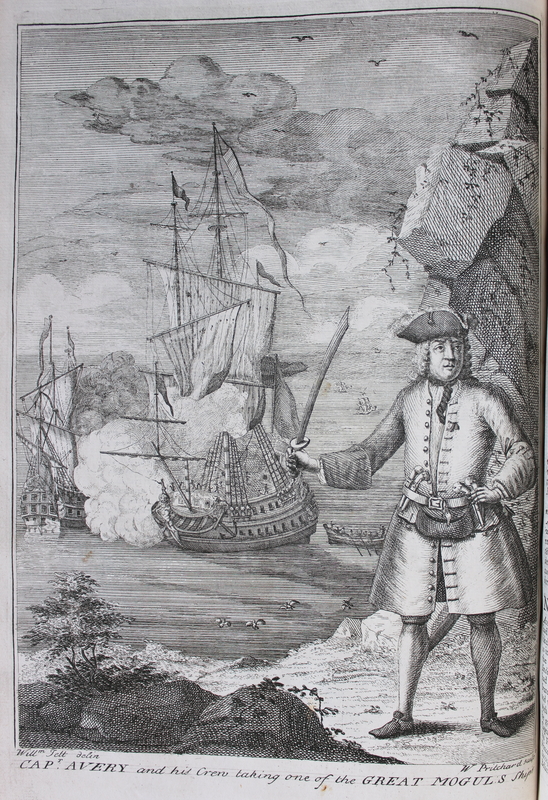 Captain Avery, a sailor who turned to piracy after taking part in a mutiny, is shown against a backdrop depicting one of his most famous exploits: the taking, in 1695, of the Ganj-i-Sawai, a treasure ship belonging to the Mughal emperor of India. Having secured a vast haul of silver and gold, Avery and his crew went their separate ways, and Avery’s eventual fate is unknown, although Johnson’s account suggests he died a penniless beggar, having frittered away his loot. One of the highwaymen featured in this book is James Hind (c.1616-52), a royalist sympathiser who once tried (and failed) to rob Oliver Cromwell. Hind had the reputation of being a gallant and generous thief, who went out of his way to avoid bloodshed wherever possible and “was distinguished by his pleasantry in all his adventures”. However, his penchant for targeting rich republicans during the Protectorate meant that when he was finally caught he was hanged, drawn and quartered for treason. Criminal women are not absent from these pages. Pirates Anne Bonny and Mary Read both get biographies, and there is a fascinating account of the exploits of Ann (or Nan) Holland, who robbed several families she worked for as a servant. 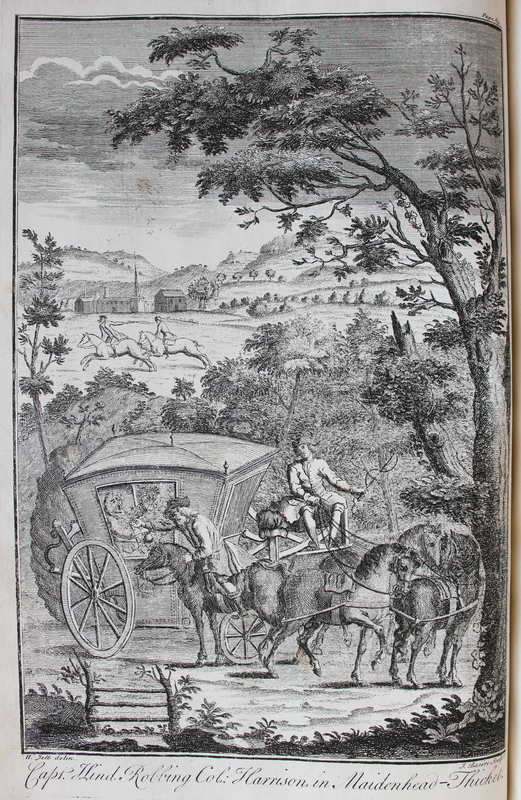 After a spell as the wife of a highwayman, she teamed up with a hoodlum called Tristram Savage to rob an astrologer. The illustration below depicts this robbery. For reasons which are not explained in the text, Savage is dressed as a woman. Note the devil peeping out from beneath the tablecloth! Captain Johnson is a pseudonym. For many years, the true author was believed to be Daniel Defoe (1660-1731), the author of Robinson Crusoe, but more recently this theory has been disputed. 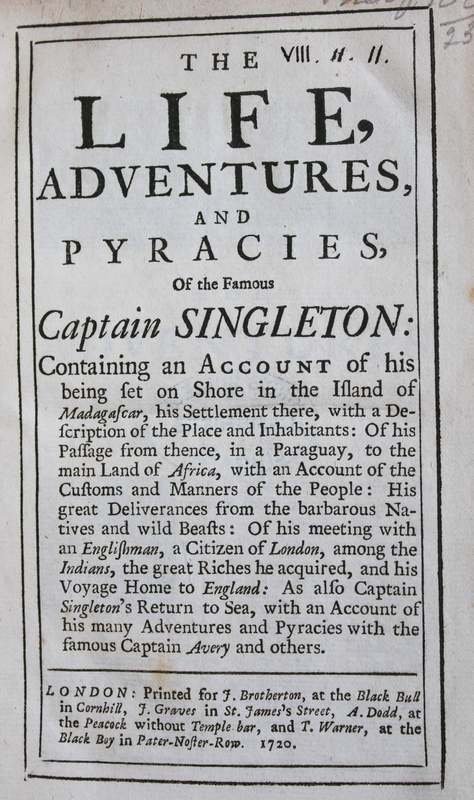 However, Defoe did write several works about pirates, and the Thackeray bequest also contains a copy of the first edition (1720) of his novel: The life, adventures, and pyracies, of the famous Captain Singleton. 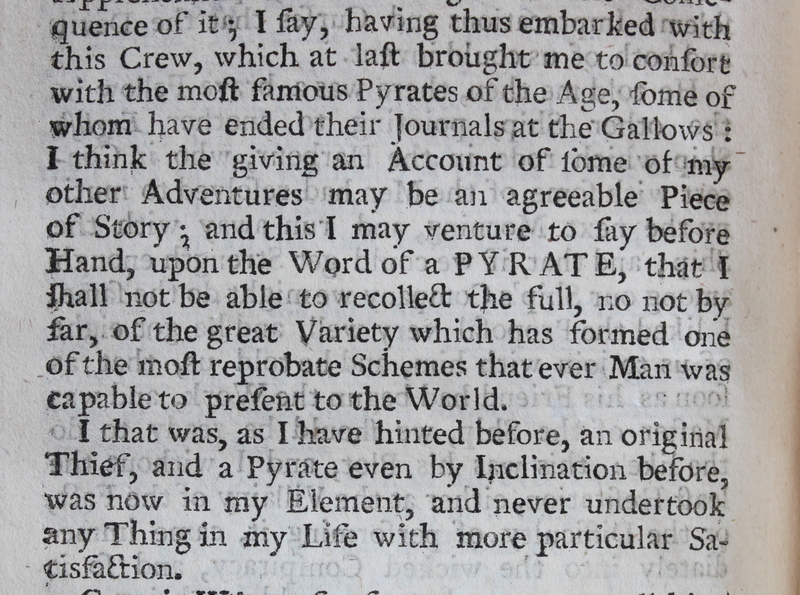 This contains numerous descriptions of the protagonist’s piratical activities. 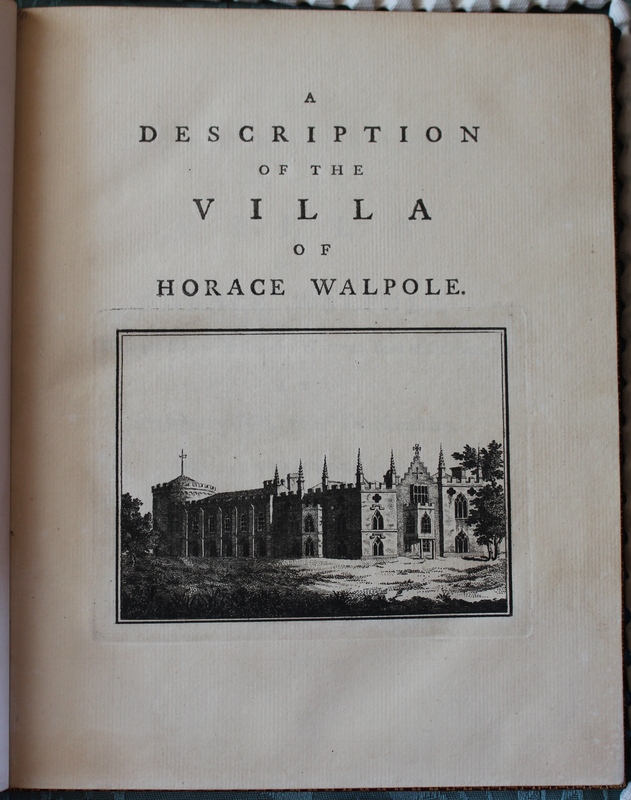 The title-page provides a neat summary of the novel’s plot. Singleton is kidnapped as a boy and eventually carried off to sea. 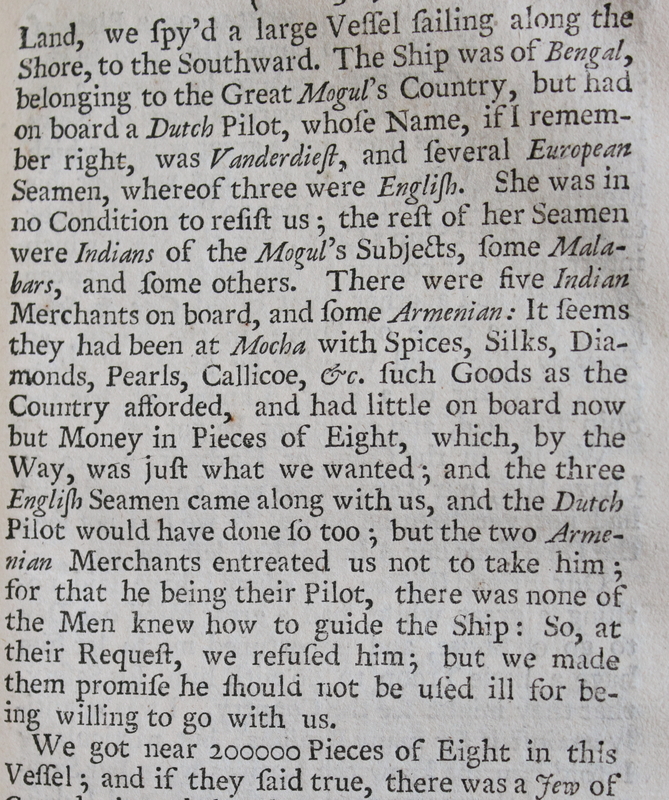 After many adventures in the East Indies and Africa, he heads to the West Indies and takes up a life of piracy. This is done with great enthusiasm, as is related in the extract below. 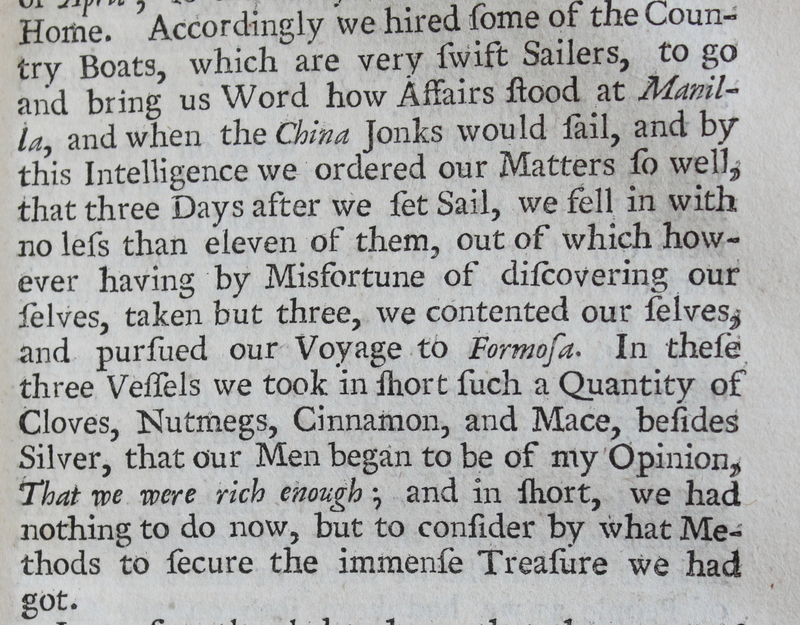 Singleton and his piratical associates range far and wide, from the Indies to the coast of Africa and even into the Pacific ocean, taking ships belonging to a variety of nations and gleefully availing themselves of their valuables. So successful are they that in time their lust for treasure is sated, and Singleton and his crew trade piracy for the merchant life, using their ill-gotten gains as capital. Singleton eventually returns home to live a quiet life in England. 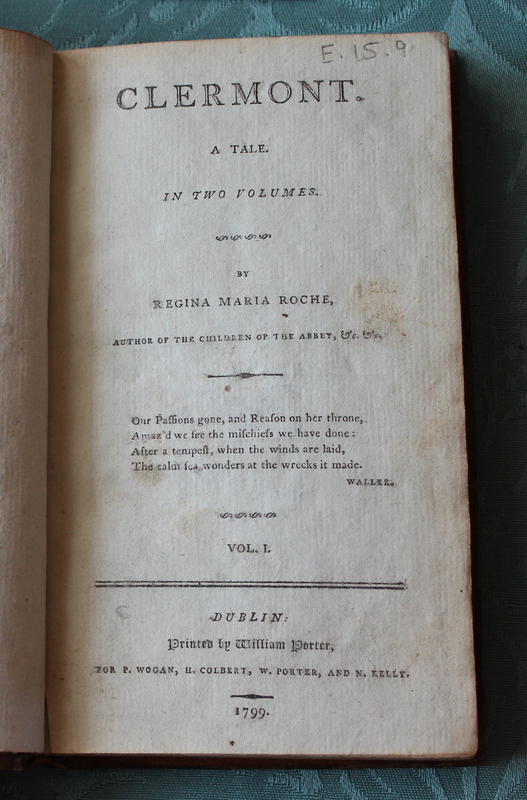 Finally, we have a two volume compilation of ballads, poems and songs about Robin Hood, dating from 1795. 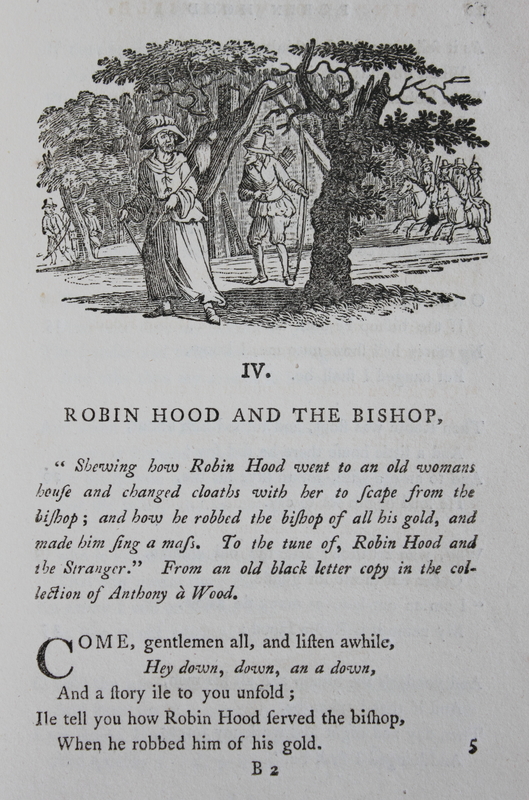 This includes attractive illustrations depicting scenes from the outlaw’s many adventures, like that pictured below, in which Robin tricks a bishop, and liberates him of his gold. 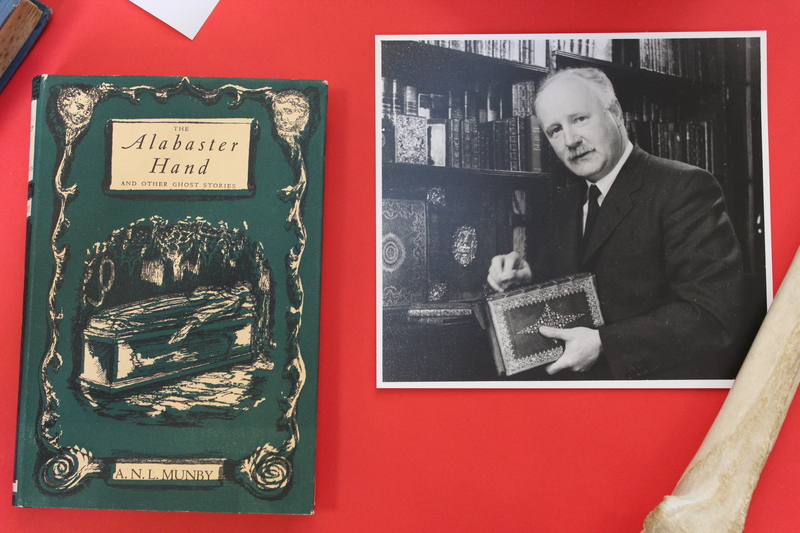 Perhaps George Thackeray’s habit of keeping two pistols at home to protect his household from thieves (see our earlier blog post “Who was George Thackeray?”) was fostered in part by reading sensational stories of crime and villainy like these! Some of the volumes formerly owned by Laura are especially interesting, since they feature bindings with blind-tooled and stamped leatherwork of her own design. 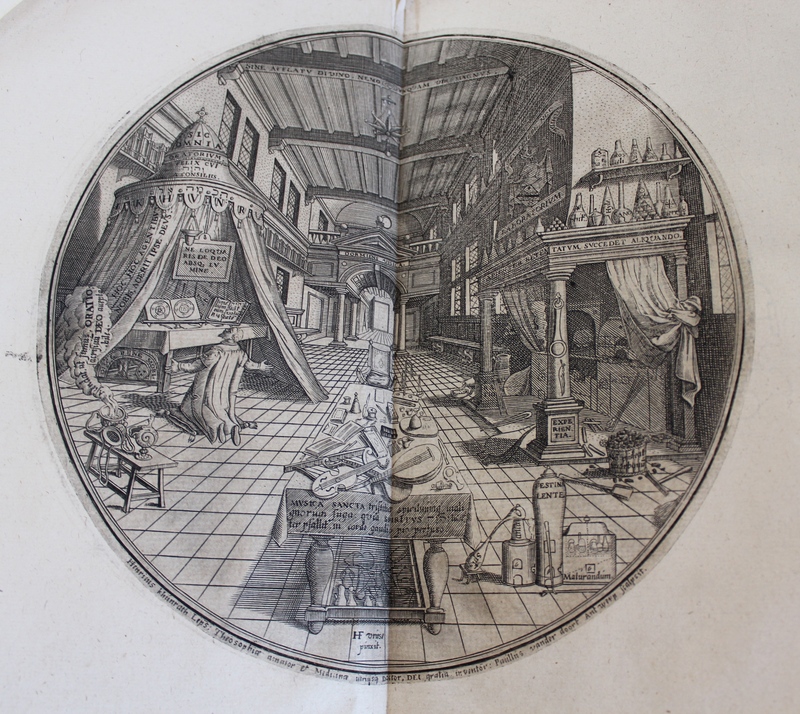 These include a volume by John Ruskin on the medieval Italian artist Giotto, which has a design based around circles, making reference to Giotto’s reputed ability to draw a perfect circle freehand without the aid of a compass. It is possible that Laura’s designs were influenced by her association with the arts and crafts designer William Morris (1834-1896), with whom she is known to have corresponded and sent samples of her work. The Arts and Crafts Exhibitions Society exhibit for 1889 featured several of Laura’s book-bindings and also embossed leather chair seats produced by Morris and Co. from her designs. 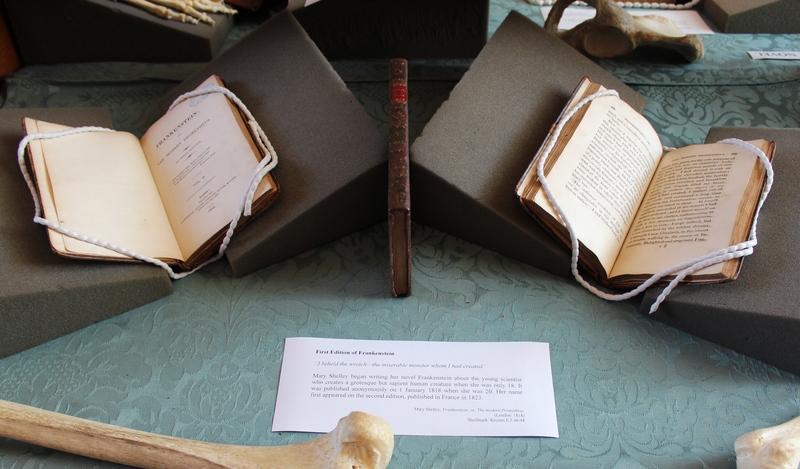 Another work, a three volume set of “The life and letters of Charles Darwin”, which was given to Laura by the editor, Darwin’s son Francis, features a floral design based on poppies. 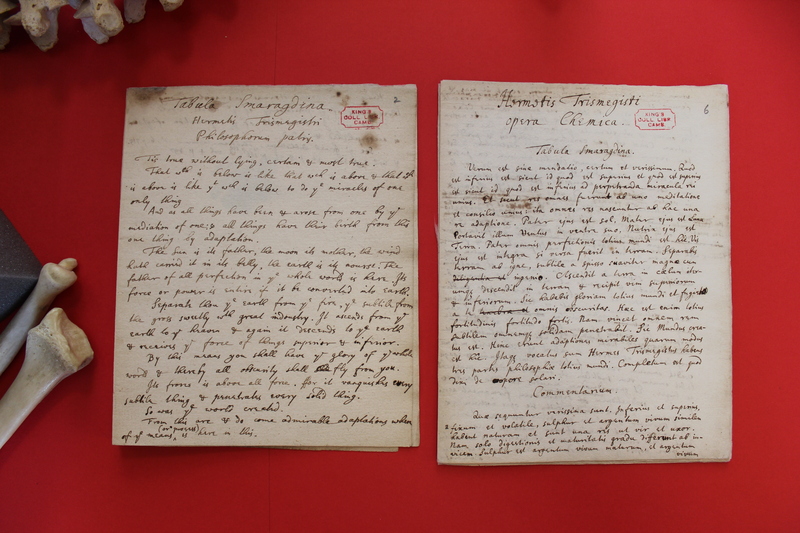 This set is one of the jewels of the Forster collection, since attached inside the front cover of the first volume is an autograph letter from Charles Darwin himself, addressed to Laura and thanking her for allowing him to stay at her house in Surrey in 1879. A transcript of the letter appears in a footnote on page 224 of the third volume. 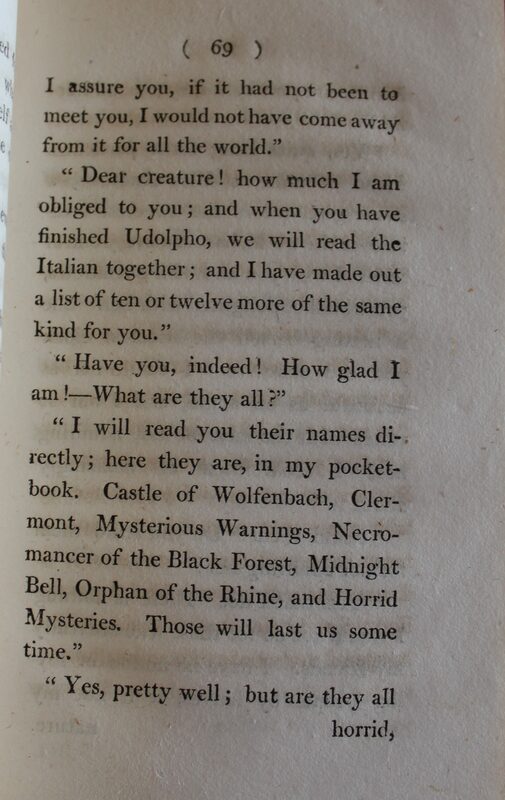 1794 was the year the book’s first owner, Charles Sturges (1776-1802) joined the college as an undergraduate, and, as a newly minted scholar, he appears to have been eager – perhaps too eager – to show that his book purchases were guided by the advice of his betters. 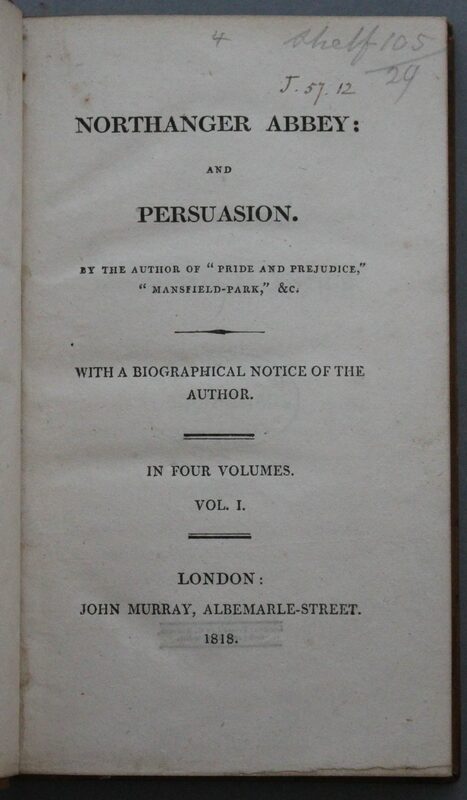 Being labelled a “lying scoundrell” seems to have done him little harm, as he later became a fellow of the College and also a clergyman, acting between 1800 and 1802 as curate of St. Mary’s Church in Reading, where his father was the vicar. 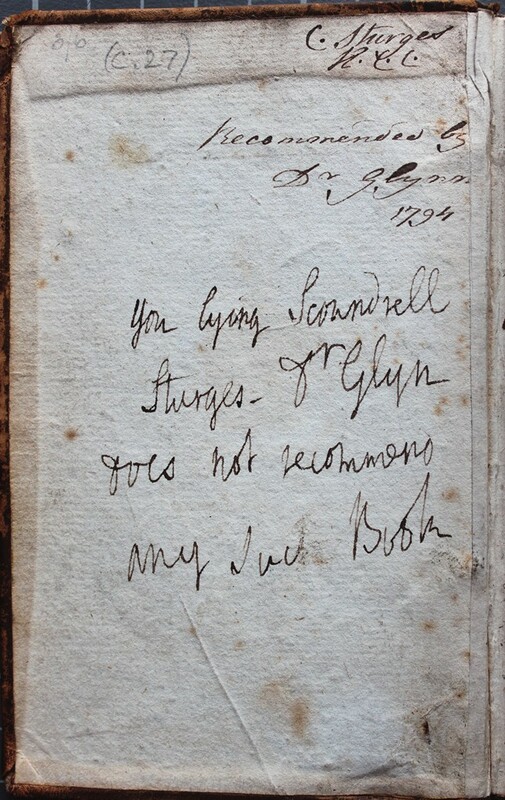 The author of the second inscription is thought to have been Dr Glynn himself. 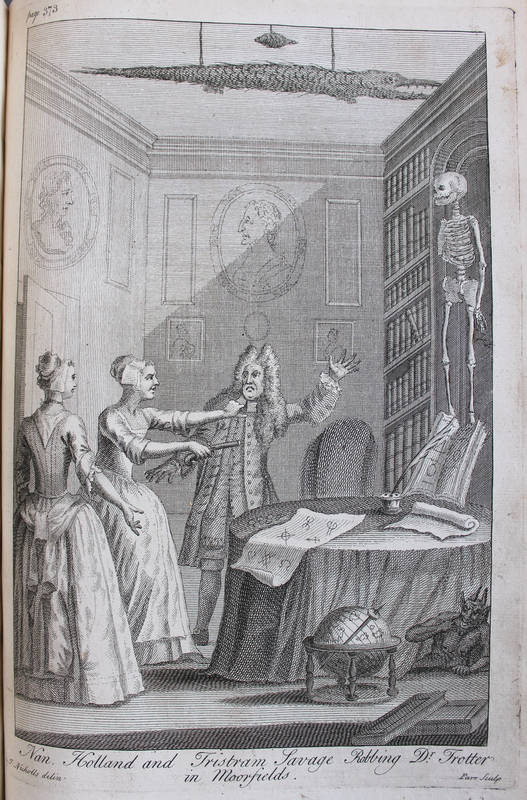 Robert Glynn (1719-1800) was a colourful character in every respect. 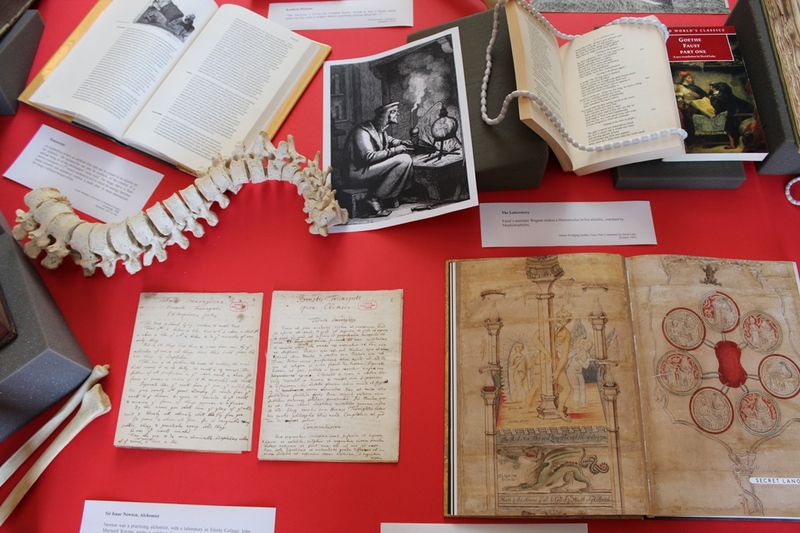 A prominent and well respected Cambridge physician and a fellow of the Royal College of Physicians, his habit of wearing a scarlet cloak and a three-cornered hat and carrying a gold-topped cane must have made him an easily recognisable figure around the town. A Kingsman, Glynn lived in College and ran his practice from his rooms there. 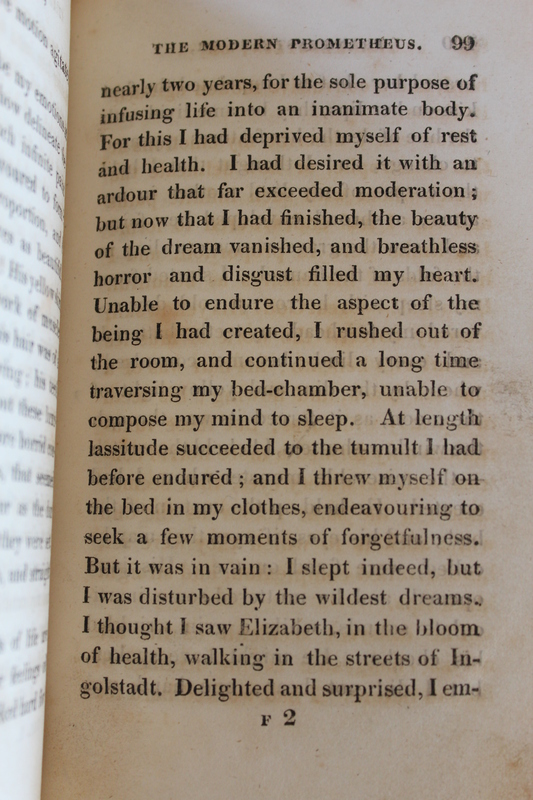 Described in the Rev. Augustus Austen Leigh’s history of the College as: “the most active, eccentric, and benevolent of doctors”, Glynn’s popularity stemmed in part from his generosity and kindness towards the people of the malaria-ridden fens, who were encouraged to come to him for free medical advice. Fees were also waived for Cornishmen (Glynn was Cornish by birth), clergymen and old Etonians. 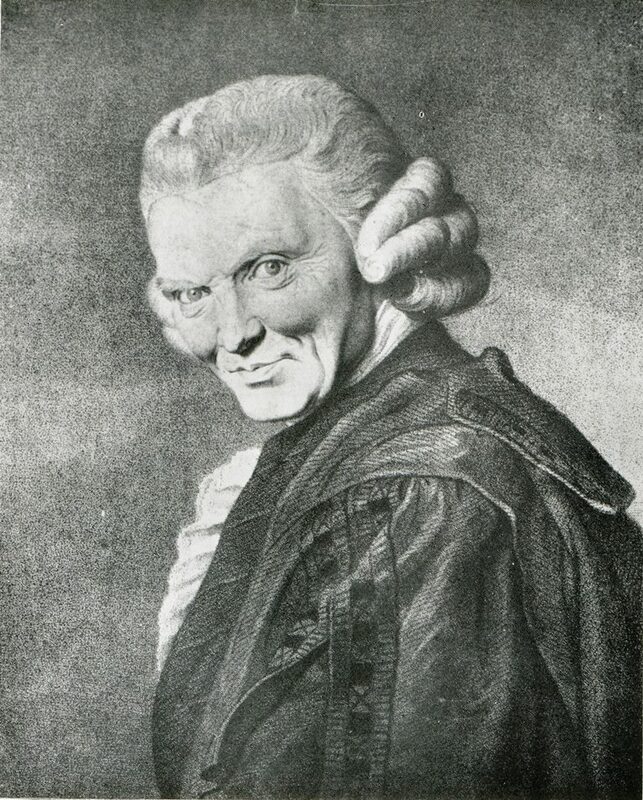 A man of firm opinions, Glynn always avoided prescribing opium, advocated fresh air as one of the best remedies, and never bled his patients, despite this being a common medical practice at the time. He avoided regular mealtimes, preferring to snack on cold mutton kept in his rooms. 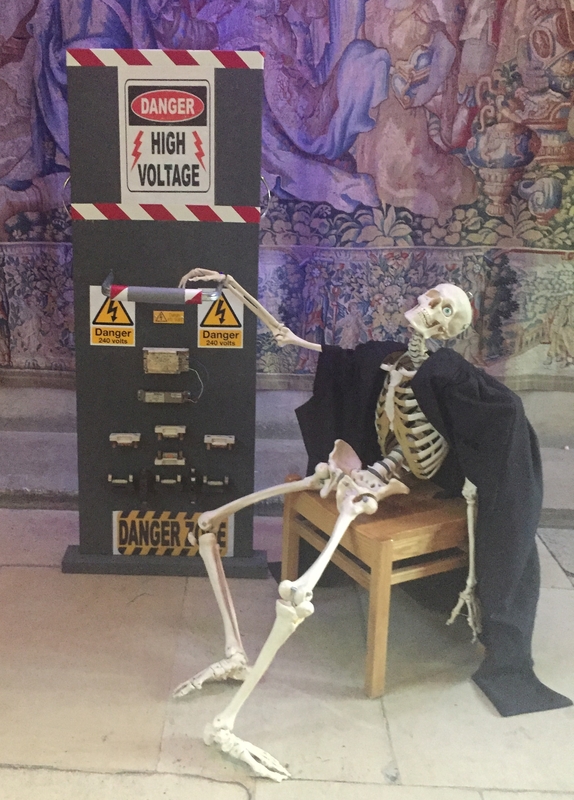 Eccentric to the last, Glynn stipulated that he should be buried in the College chapel late at night, by torchlight, and that only College members were to attend. He is memorialised by a tablet on the wall of one of the side-chapels. 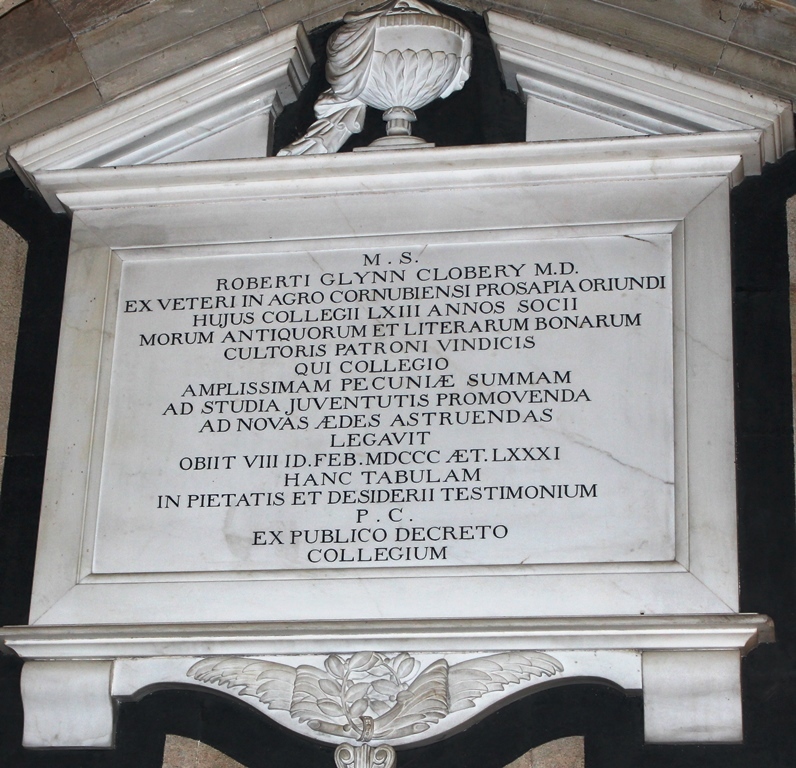 The name Clobery was adopted by Glynn after he received a large inheritance from a maternal uncle. 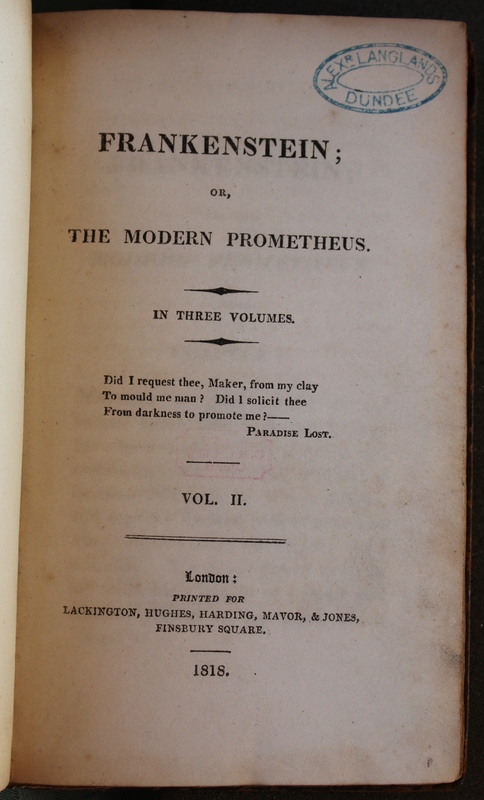 The book made its way into the collection of George Thackeray (1777-1850), who was Provost of King’s between 1814 and 1850. Most of Thackeray’s books were passed to his daughter Mary Ann (1818-1879), who in turn bequeathed them to the College.